Creates a format XML that will be used to display a type. Format XML is used by Windows PowerShell to determine how objects are displayed. Most items in PowerShell that come from built-in cmdlets make use of formatters in some way or another. Write-FormatView simplifies the creation of formatting for a type. Since it is so simple to change the type names, it's equally simple to make your own way to display data, and to write functions that leverage the formatting system in PowerShell to help you write the information. 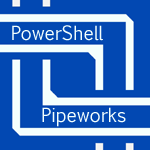 This can streamline your use of PowerShell, and open up many new possibilities. One or more type names. One or more properties to include in the default type view. If set, the table will be autosized. The script block used to fill in the contents of a custom control. The script block can either be an arbitrary script, which will be run, or it can include a number of speicalized commands that will translate into parts of the formatter.